This is compilation of few songs where Balu sir sings almost all the song and Janaki amma adds beauty to it with her aalapana/humming. ‘Those songs undoubtedly stand incomplete without her eternal humming’ – remarked Balu sir when talking about ‘Ravi Varamake’ in one stage show. Let us go it detail with 10 among many such songs. Ravi Varamake is ‘Mother’ of all such songs. There were many occasions before this song when Janaki amma gave wonderful aalapana like ‘Ee Pagalu Reyiga (From Sirisampadalu)’/'Bhuvana Mohini’ (Bhama Vijayam) with Ghantasala garu and PB Srinivas garu. But huge appreciation she got for ‘Ravi Varamake’ might have given birth to creation of many more songs like this. Actually, Ravi Varamake was initially a Kannada song ‘Ravi Varmana kunchada’ sung by P B Srinivas sir with alapana of Janaki amma. GKV sir repeated same magic (if not better and refined) in Telugu for Darsakendra Dasari Narayana rao’s musical movie. Vamsi was the director in Telugu cinema well known for his musicals. 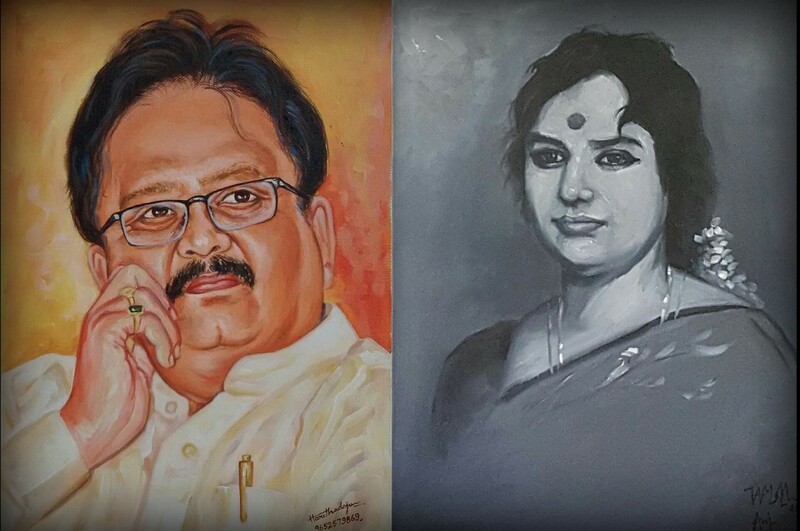 Raja sir experimented with Balu sir and Janaki amma in all possible ways in movies directed by Vamsi sir. Duets of ultimate variety came from this combination. ‘Sumam Prathi sumam’ stands right at the top of the list. Lyrics ‘Venuva Veenaya Emiti Naadamu’ by Jonnavithula garu in melodious vocals of Balu sir sounds as if it is a heartfelt tribute to outstanding aalapana of Janaki amma..
M S Viswanathan sir composed music for lesser number of movies in Telugu compared to Tamil. But ‘EACH and EVERY’ song composed by him in Telugu carried his signature and became extremely popular. His collaboration with Balachander sir gave Telugu audience wonderful melodies that would live for ever. He experimented like never before -never after in these movies. ‘Kanne Pillavani’ from ‘Akali Rajayam’ is a glorious results of such experiments. It is a song where heroine(Sridevi) challenges hero (Kamal Hasan) to match her aalapana with fitting lyrics. It was actually a challenge between Music director MSV sir and Lyricist ‘Acharaya Athreya’ garu .. Athreya garu was well known in hey days for conveying very difficult emotions in simple language and he repeated same magic here. When Balu sir exclaims ‘Beautiful’ after an aalaap of Janaki amma, he exclaimed as it really came from his heart appreciating her artistry! Alaapana – Another musical from Vamsi with trio of Balu-Janaki-Ilayaraja giving best of their performances. In an event, Raja sir mentioned that aalapana is one of his favourite most albums. True to his words, he gave outstanding numbers in this movie. Two songs in this movie ‘Aa Kanulalo’ and ‘Kalise Prathi Sandhyalo’ compete with each other for the same category here. In both songs, Janaki accompanied melodious singing of Balu sir with wonderful alaapanna. But, selecting ‘Kalise Parthi sandhyalo’ for the hidden divine presence in this composition. Just listen to the way she picks up pallavi after a complete stretch of alaapana after charanam. Satyam sir right from his very first movie gave challenging compositions to Janaki amma in Telugu and Kannada. Although he gave more songs in Kannada, her presence was very much felt in almost every movie he composed in Telugu as well. Balu sir and Janaki amma got to sing many interesting songs composed by him. ‘Emani Pillavi’ is a composition that falls under this category. For Kannada audience, this song reminds evergreen ‘Nee Roopave’ from ‘Sita Ramu’. Abhinandana – an out and out musical from trio Rajs-Balu-Janaki. Although Raja sir reused tunes from his earlier Tamil movies for almost all songs in this movie, Telugu versions had 100% nativity. Acharya Athreya garu proved that he could give soul stirring lyrics to existing tunes. Abhinandana ruled music charts then and it did not loose it strength even a bit till now. Coming to Rangulalao Kalavo, it is appreciation of actress beauty as in many other songs of this concept and heroine acknowledging the same. Beginning aalapana of this song had become such a signature for her that it is played to introduce Janaki amma in many felicitations from then. She sang as if an angel is singing from some unknown heavens! Same producer of Abhinandana gave another musical called ‘Neerajanam’ to Telugu audience. For this movie, he could get Legendary music director of Hindi cinema – O P Nayyar sir. This movie was a disaster at box office but will be remembered for ever for it’s finest music! Complete album had Balu sir and Janaki amma singing solos and duets and blessing a ‘bliss’ to audience! 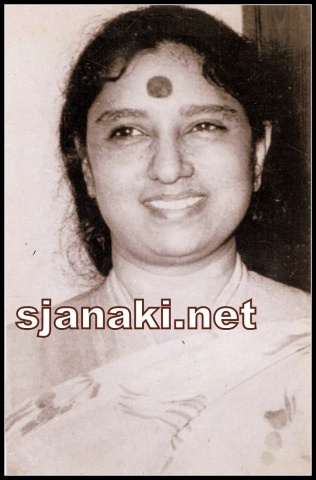 As soon as recording of this song – ‘Ninu choodaka nenundalenu; was completed, O P Nayyar sir appreciated Janaki amma for her wonderful aalapana and especially for the way she sang 4 different modulations for same line in last repeat of pallavi. He even composed a full length solo with same tune in Hindi movie ‘Mangini’ to be sung by Janaki amma, Bad luck that Hindi version had very poor recording compared to Telugu song! This song really had soulful rendition of Balu sir .. the way expressed each and every word describing love reminds us of great Moh Rafi sahab! Another song composed by Satyam sir which proved why Balu sir is ‘King of Romance’.. Each and every word he sang in this song was dipped in romantic honey! Even most unromantic person would turn romantic listening to this lyrics of Veturi garu. Janaki amma’s presence with her alaapana is like a cool breeze in this song! One of the most melodious duets ever composed by Chakravrty garu , who was otherwise known for his rhythm based songs. Not only alaap, but every thing Janaki amma did in this song was romantic! There are many other songs which we shall detail in another article, but wanted to end this article with this rare and underrated gem from ‘Poola Pallaki’. Generally, alaapana is followed by lyrics but in this song alaapana of Janaki amma completely overlaps lyrical singing of Balu sir. Such songs are very sweet on ears, but extremely difficult to render.How difficult it would have been to record this song when both of them had to sing their own versions without disturbing but enhancing each other’s singing! This might be very reason by Raja sir insisted on Balu sir and Janaki amma for best of his composition in their respective hey days!